This is a beautiful large Victorian jewellery box, dating to 1880/90. 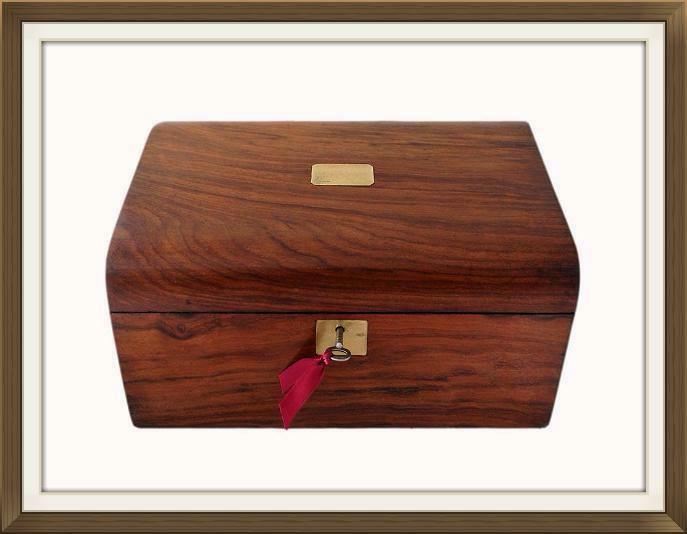 It has a wonderful Mahogany veneer, and its original working lock and key. 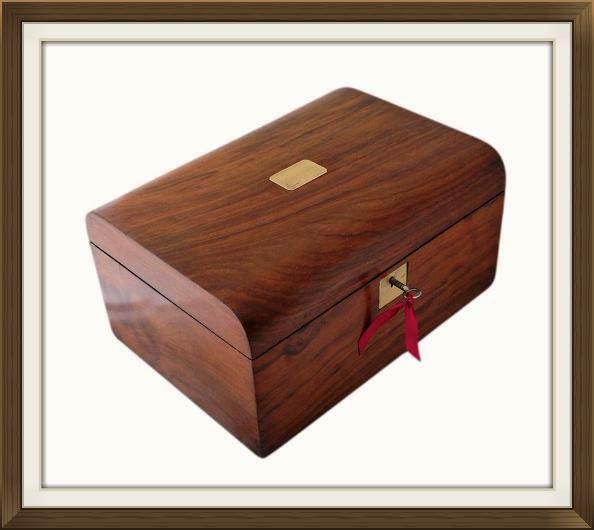 This box has a beautiful Mahogany veneer which has superb figuration and a warm rich colour. 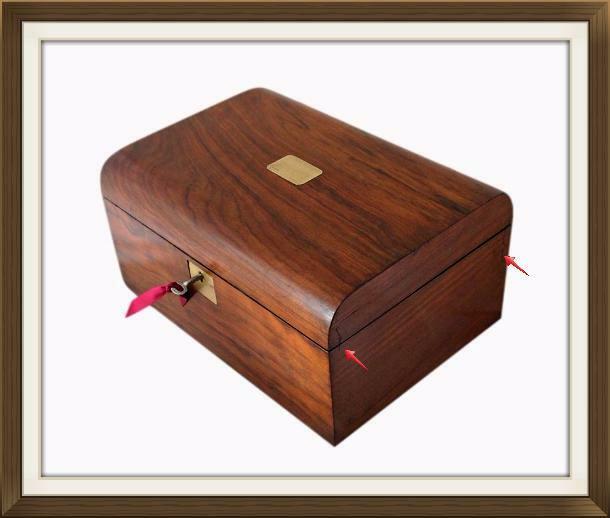 There is a vacant brass cartouche on the lid which can be personalised with an engraved name or date etc, and there is also a brass escutcheon to the lock. 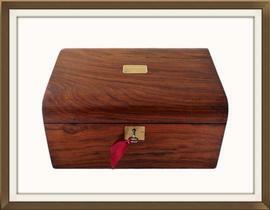 The box is complete with its original working lock and key, and also its original stop hinges. These prevent the lid from extending too far back. The key is stamped ENGLISH MAKE and has a registered kite mark. Please ensure the storage tray is firmly seated and that the lid is closed flush before locking the box. There is a hollowed notch on one side of the tray, and this side of the tray should be positioned in the left side of the interior. 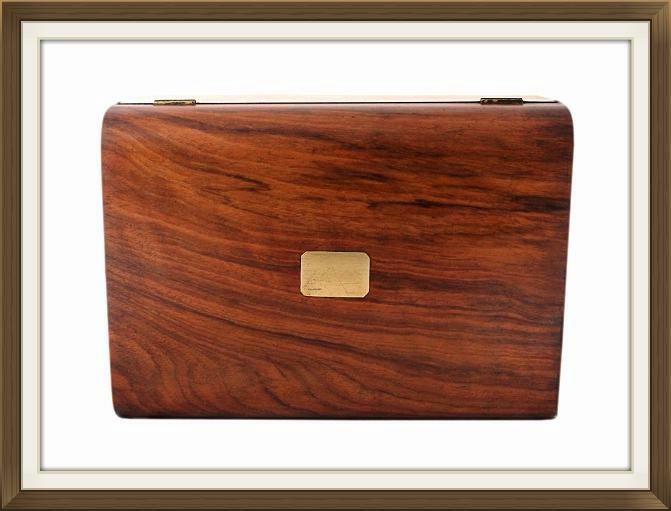 The interior has a large shallow storage tray at the top, and a deep and roomy large compartment beneath. There is a mirror to the inside of the lid. 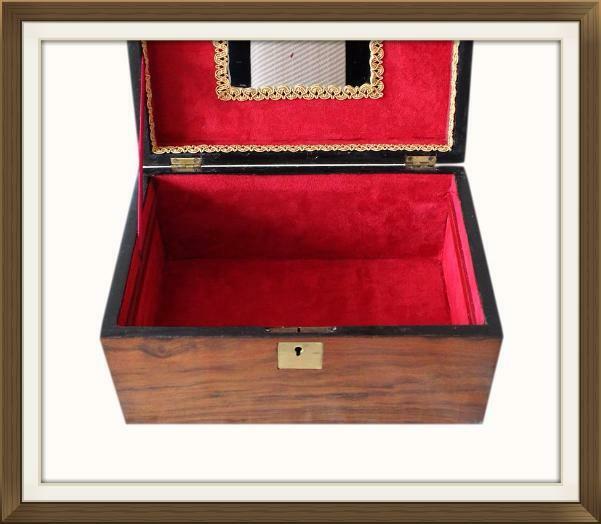 The base compartment, tray, and the inside of the lid, have been relined with beautiful red suedette, and finished with a fancy gold brocade trim. The exterior of the tray has its original painted finish. 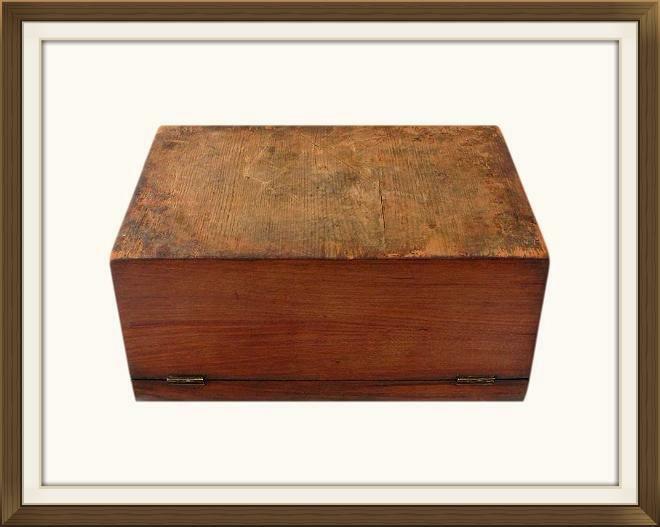 This wonderful box is in excellent condition for its 120/30 years of age. It is a strong sturdy box which is structurally sound. There are a few minor superficial cracks to the veneer on the sides which are consolidated and do not affect the structure of the box. Please see image 6 above. Other than this the veneer is lovely with only light age related wear. There is a little amount of light tarnish and some superficial light scratches to the brass work. 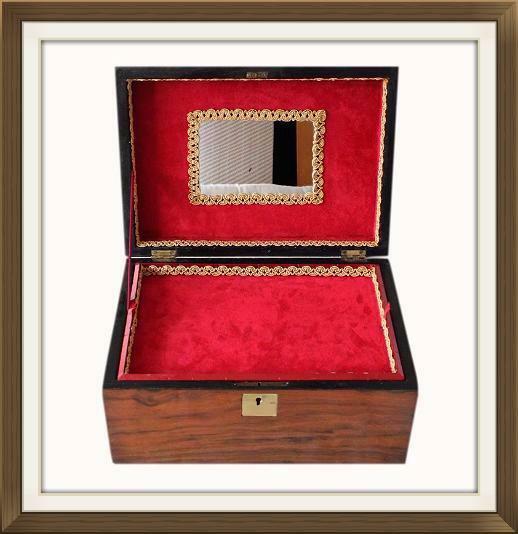 The interior suedette and brocade trim is in lovely condition with no splits or stains. There is some wear and some nicks /scratches to the exterior of the storage tray, and a tiny bit of paint on the mirror. The bottom of the box has no covering and the wood here is in its original raw state. 23.5 by 15.7cm with a 1.7cm depth. 24.7 by 16.8cm with a 7.6cm depth.